As we celebrate 20 years here at Rest Ministries, founder Lisa Copen shares a couple of changes that are taking place as she enters into a new season with her chronic illness, rheumatoid arthritis. 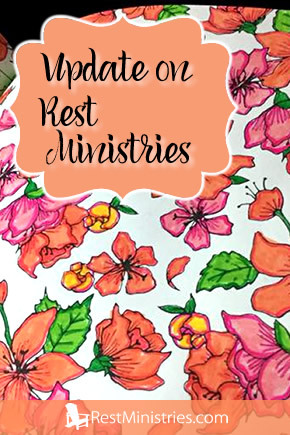 I have shared from my heart a couple times this last year and I wanted to give you an update on Rest Ministries, as well as our social network, The Sunroom. Before you become worried, know that we aren’t going anywhere. In fact, it is hard to believe, but it was 20 years ago that I felt God stirring my heart to meet the needs of those with chronic illness with Him being the center of it. By the summer of 1996 I was on a drug-study and barely moving (I got the placebo), but I was going to our local library and coming home with stacks of books on writing and how to start a nonprofit. That is how it began. We’ve gone through a few seasons here and we are moving into the next one this week. (1) I will be sending out devotionals Monday – Friday, with occasional special posts on the weekend. (2) The Sunroom will be closing down Friday, tomorrow, at Ning.com and we will be moving our online peer support to a Facebook group. Why the changes? What’s up? There are many reasons for these two decisions, but I want to share a few of them with you. First, in the last six months my disease has rapidly progressed in the number of joints with permanent damage. My pain and fatigue level have placed me in a season that will not improve. The pain is no longer from flares, but rather from the permanent damage of bone-on-bone all over my body. It is just the result of 23 years of rheumatoid arthritis that never responded to medication. I won’t go into the details, but I simply cannot keep up with it all–just standing and getting from one room to another is a challenge, every day, all day. In addition, I have a few other things going– I am trying to homeschool my son (which wasn’t planned)… my husband has been out of work for 11 months and returned to college (another thing not planned). And we started Gutsy Goodness, our jewelry/necklace business and praise the Lord, it is doing well. As many of you know, I have never paid myself since I began Rest Ministries–not for my time, my books in our shop–nothing. My husband was able to provide for us and so not only did we not “charge” the ministry for my time, but we made donations to RM keep it going many months. Our family’s finances have changed. 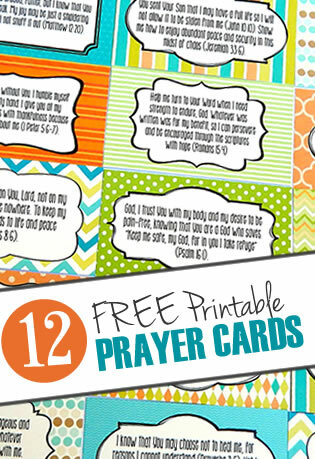 Our much-needed health insurance is over $2000 a month… and it is a huge answer to prayer that our jewelry business can help with these expenses. So, yes, I know you may see a post on Facebook for my jewelry and think “she has the energy to do that, so why is she choosing this over Rest Ministries?” Please know that I am thrilled God has given me the chance to help contribute to the overwhelming expenses my health demands. Gutsy Goodness is our only source of income right now (and yes, the whole family is working for it. Can you imagine all the homeschool lessons to be taught?). I believe with all my heart that God gave it to us, as I didn’t even plan to “start a business.” It was just going to be a little hobby for my creative outlet. I had purchased the supplies before my husband ever was laid off. The other reason we are closing the Sunroom is just logistics. We pay $60 a month for the hosting of the software on a platform that has not been updated in 3 years. The company abandoned it ever since they bought it from another company. It is not safe in the ‘internet security’ arena and I cannot login most of the time to even moderate. I have worked on alternative platforms over the last few years, but the amount time to just troubleshoot and maintain a message board system on our site is more than we can handle–both time-wise and financially. This was feasible for when I was home alone 6 hours each day and could pace myself. Even if I had assistance it would be more than I could handle. So, we are moving it to a Facebook group for now. We’ll see what God does. I have been praying about this since August, so I didn’t make this decision lightly. But I felt many nudges, a few times God pointed an arrow at something directly, and since I made the decision I have felt an overwhelming peace. The software, the restrictions on it–all of it was hindering us, holding us back. I am eager to see what God will do now that we have taken this step of faith. Next week we will have the new Sunroom group open on Facebook. We will ask you to fill out a brief questionnaire and then approve you for membership. (So, if you find the Sunroom group before that, we will contact you next week to fill out the form). We will plan some events, like book studies, chats, and more, which we’ve not been able to do with the old software. So there will be fun new things to look forward to. I never like the phrase “God doesn’t give us more than we can handle.” Yes, He does allow more than we can handle… because He wants us to need Him, to not depend on our own strength. And right now, I need Him. And that means shifting around some of what is on my Must-Happen-Today-No-Matter-What List. 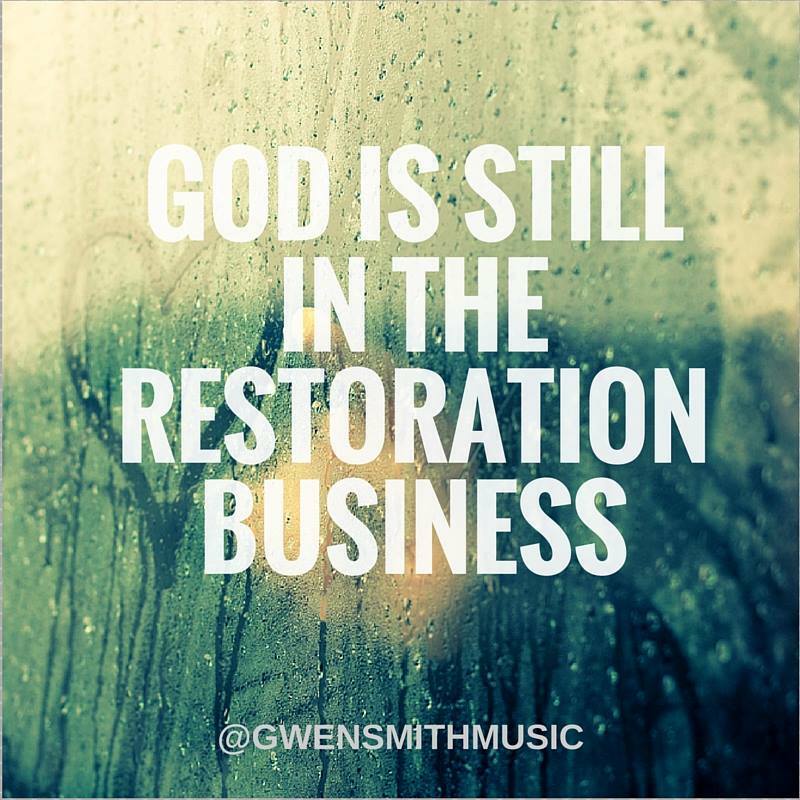 Some people have asked me if I shouldn’t just “shut down” Rest Ministries, that I have done it 20 years and maybe all the chaos in life is God telling me that it’s time to move on. The problem with that is Rest Ministries is not just a project to me–it’s my heart. I love you all. I love what I still see God do here daily. Even I need Rest Ministries. It is part of who I am and I even just got out of bed to write this because I didn’t want to delay one more day. And like you may be, I am just praying that other unforeseen health challenges don’t wipe me out the second half of the year. But for now, I need to create a place in my day where I can rest without feeling anxious or guilty or frustrated that I am letting people down. I need God to lift some of the burdens, and since He seems to be piling them on instead, I believe He is trying to teach me how to be wise and choose the right priorities. And when I have in the past, like being obedient to homeschool when I never felt called to that, He loads on the blessings at Rest Ministries. So, please know I SEE you. And I CHOOSE you. But I also choose God and my family… and I am trying to learn to choose myself (I hate even writing that). But that means, I choose to lay down before I fall down. I choose to give myself reasonable expectations, not goals that are out of my reach. I choose to make some healthy decisions, so my body doesn’t rebel against me and choose them for me. I choose that when I wake up from pain at 3 AM I don’t have to think about all the people I will let down because I didn’t get a devotional out on time. So, count on devotionals Monday – Friday. I will be attaching videos occasionally, but not every day. And watch for our new Sunroom to be announced next week. I am so, so weak. Not just physically, but spiritually. I fail every day. And I am sad. I am letting go of some of my dreams, my plans, my assumptions about how God would bless me if I was a good sport about illness and homeschooling and job loss. I’m not myself. And that is okay. Because I know who the source is of all strength, holiness, and comfort. So, as always, thanks for going on this strange journey alongside me. I couldn’t live with this illness and all that goes along with it, without you. I write to you to let you know that the time has come that we will be closing the Sunroom here on this network on Friday. February 19th, 2016 will be our last day on this site. There are many reasons, most of which is because the software this platform was based on was sold a few years ago and the new company has done little to even acknowledge it. There have been many problems with logging in (myself included, even today it took me over an hour to get the site to work to send this message out). And the cost continues to rise despite their abandonment of the software. I have paid out $60 a month for over 2 years to keep this little place on the web going–and now they are raising the cost even more. For safety reasons (we want the safest environment for you online!) and more challenges and hurdles here with Ning.com, the time has come. This week we opened a Facebook group called “Rest Ministries Sunroom” and you can expect and invitation in the next few days. I know that many of you do not like Facebook which is why I have tried to build another Sunroom network for a couple of years. However, at this time Facebook provides us with the ability to continue to communicate with one another and I expect that God will do great things, despite the reluctance of some of us. I hope you will join us. In the next few days if you want to save any of your photos, videos, messages, feel free to download YOUR OWN content that you want to make sure you have. There is no way to do this but to copy and paste one message at a time or one image at a time. Please know that due to privacy issues we do NOT grant permission for you to download the messages or posts of others. I know this is a transition time for many of us in our own lives and having something familiar to us pulled out from under us can be disheartening. I too am going through a season of grief right now with my own body’s deterioration as well as my husband’s new journey as a student at 50 years old. I do truly apologize for making your life any harder than it already is. I have spent over 3 years and 1000 hours trying to build/code a Sunroom similar to this one, but alas, God had other plans. I am trying to remember that He always knows what is best, even if it comes wrapped up in gift wrap that I don’t really care for. If you have not been to our website lately at http://restministries.com , I encourage you to drop by and make sure you get the daily devotionals and connect with people through the comments of them each day. We have a thriving community on our main site and perhaps this and the Facebook page can fill the gap that the closing of our Sunroom on the Ning platform may cause. Please feel free to email me at rest@restministries.org. I will do my *best* to respond, but know that I am in the worse physical shape I have ever been in and am struggling with daily tasks. If you don’t hear from me immediately, please know I have received it and am just taking care of the daily requirements for life right now and triaging all emails. Filed Under: Announcements, Devotionals, Founder's Blog, What's New? Lisa, my prayers continue to be with you and your family. While I have not been with RM from the start, I have had the privilege of being here for awhile. I well remember by Yahoo Groups and still treasure the friendships from there. I have popped in and out of the Sunroom. I look forward now as we move on with the Facebook group. Yes, there were outcries that RM would never be the same when Yahoo groups ended and no it wasn’t. Sunroom will be missed, but God is going to use RM Facebook group to reach many. The words Thank You can never say enough but Thank you for all that you do. Praying for and supporting you all the way. Lisa, I totally understand. I am experiencing or going through many of the same types of issues as you are. You and your family have been and will continue to be in my prayers as well as Rest Ministries and all the transitions. Do what God calls you to do first and foremost. That is your #1 priority. If we can’t live with the changes you need to make, we are not trusting God. Lisa, it is amazing what you have done and are doing. No apologies needed. You have allowed God to use you to help so many people with chronic illness face the day. Because of Rest Ministries we feel a little stronger spiritually even when we are weaker physically, Even in your changes you are showing us how to listen for God, to see the windows He opens for us when a door closes. You are an inspiration. Continued prayers for you and Rest Ministries. Your life is a witness, testimony & inspiration. I applaud all of your decisions & trust that this new chapter will bring GREAT blessings to RM, you & your family & to everyone associated with RM. PLEASE don’t stress or worry! I trust your leadership & the decisions you’re making are truly from God & that it will bring growth in new ways to RM & everyone associated with it. Of course it’s sad to lose the Sunroom, but my experience has always been that when God removes something, it’s painful at first, but healing comes & then new doors open that bring surprising blessings! (Kinda like a surgery!!) It seems to be a time of that for our family…. of selling our home & moving to a new area. Kinda exciting when I look past the losses!! I’m so sorry things are getting worse for you, Lisa. And for all the extra difficulties in life. Please don’t feel you’re letting anyone down. I know that’s hard to do, but I want you to put less pressure on yourself and take care of YOU. May God be with you and your family and give you strength and peace for each day! “Are you living the life you never wanted? We tend to define our life based on our perception of our progress. Am I where I thought I would be at this age? Have I achieved what I thought I would? Are my dreams more or less real today? Am I happy in my marriage, my family, my position at work? Is my life successful? In reality, life is never defined by our performance or circumstances. What really makes any life worth living today is the presence and protection and pleasure of the almighty, all-satisfying God. After being sold into slavery by his own brothers, Joseph surprisingly rose to power in perhaps the most powerful empire in the world. Potiphar put Joseph in charge of everything. But Potiphar’s wife lusted after Joseph and tried to seduce him. When he faithfully refused her advances, she framed him, claiming he had come to her. Her lies ripped him from all his power and responsibility and landed him in prison (Genesis 39:20). He committed no sin (at least not with Potiphar’s wife), neither was deceit found in his mouth, and yet he was treated as worse than a slave, locked away without hope of release. Whether in power or in prison, Joseph’s life was hope-filled, meaningful, and successful, not because he worked so hard or received what he deserved, but because God was with him. The Lord was with him in success — and the Lord was with him in prison. Is the life you’re currently living the one you always wanted for yourself? Did you think you’d be married by now? Or that you’d still be married? If you are married, did you marry when you thought you would, or whom you thought you would? What about your job? Not what you hoped for? Do you feel like your gifts are being wasted? Do you dream about doing something different with your life? Maybe you wish you were living somewhere else? You long to be closer to home (or farther away)? The reality is that all of us can imagine something better for ourselves than our circumstances today. The greater reality is that, if you love and follow Jesus, God always writes a better story for you than you would write for yourself. The “better” is based on this: God himself is the best, most satisfying thing you could ever have or experience, and, therefore, fullness of life is ultimately found not in any earthly success or relationship or accomplishment, but in your proximity to God through faith. The dark side of this good news is that you may have to walk through pain, disappointment, rejection, and suffering for seventy or eighty years. The brighter (and prevailing) side says God never makes a mistake in choosing good for you. Everything you experience — expected or unexpected, wanted or unwanted, pleasing or painful — is God’s good plan to make you his own (John 10:27–29), to give you himself forever (Psalm 16:11), and to use your life to reveal himself and his glory to the world around you (Isaiah 43:25; 1 Corinthians 10:31). A couple thousand years after Joseph ruled and was then left to rot in prison, Paul lived and wrote the same things about life. Therefore, we can pray with Solomon in his wisdom, “Give me neither poverty nor riches; feed me with the food that is needful for me, lest I be full and deny you and say, ‘Who is the LORD?’ or lest I be poor and steal and profane the name of my God” (Proverbs 30:8–9). Through the eyes of the American dream, the prayer seems small, even self-defeating. God, deny me wealth and prosperity in order to keep and satisfy my soul. To the one surrendered to and satisfied in Jesus, it’s a supreme dream worth enduring anything for (Romans 8:22). Is the life you’re currently living the one you always wanted? Are you content — more than content, delighted and exhilarated — to have God at your side (Joshua 1:9)? Have you put some earthly standard or accomplishment ahead of knowing him and being his (2 Corinthians 6:16)? Are you willing to entrust your soul, your cause, and your vindication to the one who always judges justly, the one who has promised to work all things in every circumstance — including every setback, every disappointment, and even every sin against you — for you (1 Peter 2:23; Romans 8:28)? You’ve left me in tears. I admire you for your honesty and sharing your own struggles with us. We are both in the same place as far as pain and exhaustion and God has been talking to my heart and telling me to rest too. You’re an inspiration and we will keep walking this road with you. 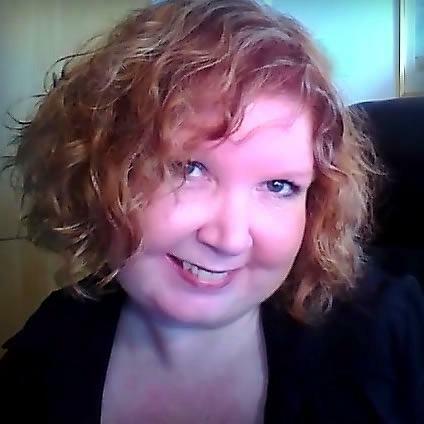 Lisa – if anyone can understand what you are going through, it’s us in the RM community. I know I speak for many when I say we support your decisions. We understand the reasons behind your decisions. We love and care for you too. We want the best for you. May God bless your family and may you feel His peace, encouragement and comfort during this time. Your ministry means so much to so many. Thank you for sharing from your heart. Thank you for all that you have done to serve the chronic illness community over the years. You are a blessing to all of us! I am sorry that your health continues to decline. Thank you for being a godly example in the midst of suffering. You are not letting us down, and I support you in the decisions you need to make for yourself, your family, Rest Ministries. I am praying for you regularly. Thank you for putting us in the picture. I can only say you are one of the Heros faith. I’m amazed that in your circumstances that you a manage to keep doing what you’ve been doing. I will make sure I pray more for you. I don’t suffer the pain you do. But with worsening heart failure and being 80 , have often zero energy. My wife who is remission from cancer last year is having to help me so much. I found a group on Facebook for heart failure patients in the UK, called Pumping Marvellous and found it so helpful to be able to share on it. Most have same or worse conditions to me but often much younger. It is not overtly Christian but I have been able to encourage some. You are a great encouragement to me to press on to the goal. Thank you for your humbled honesty. I don’t know how you do it. I take that back, I do. Our loving, forgiving Blessid Father of mercy and favor. Two things he has given you. You will be in my prayers, already said one. New to the ministry, not new to the disease. 21 years of RA (second generation, dad and brother succumbed) facing almost identical issues. Can’t think on it, would be BAD (bitter, angry and disappointed) all the time if I didn’t have six grandsons to make me smile, feeling worthwhile is another trial. Will think of you and pray for us all in the wee hours when we are hurting. Surely Jesus will continue to hold our heads up. Thank you for your love of God and all of us who are encouraged by the posts and life stories over time. Take care of yourself and rest in God and His love, grace and strength. Lisa….You are 1 million percent supported and encouraged in these new decisions and directions. I rarely post but I cannot tell you how much rest ministries has meant to me in my journey of chronic pain. You and the people who share their stories and devotions have met many a deep heart need and I have no words to express my gratitude. I pray sweet success with your business and home school. As you come to my heart and mind I will pray for you. I echo the sentiments so beautifully expressed here. And I am profoundly grateful that it is the Sunroom “only”, and not the whole RM site, as I first thought. Please don’t apologize! I have only been coming to your site for a few weeks and as I am newly diagnosed I am new to dealing with the struggle of trying to keep up my life with MS. Your site has helped me realize I am allowed to put myself first at times and rest and it’s OK, even God says it’s OK. So, without being preachy, time to follow your own example. We understand. And if some on here don’t, then they need to dig deep and remember everyone has bad days, times, weeks, years, thats why we come here. Thank you fpr this site! It has been a breath of fresh air and I will look for the new facebook page. I hope all goes well! I do not Facebook for various personal reasons, but have found great comfort in the daily devotionals… Where does this leave those who don’t wish to Facebook? For now, we have the web site with many people who visit daily and comment and reply to those who comment. I know it is not ideal, but it what I can offer now. what is best for your own health. I’m not good at that either.